Advanced Equine Osteopathy Techniques students learn methods of utilizing hands-on (manual) and natural treatments. Being able to merge, assess, and affect any tissue structure at a deeper level with precision, sets osteopathy apart from all other healing disciplines. This course will incorporate all three synchronistic flow; CranioSacral (John Upledger), visceral manipulation (Jean-Pierre Barral), and vascular manipulation (Frank Lowen). Advanced Equine Osteopathic Techniques 1 Course (IET EQ OSTEO I) is the first course in the Advanced Osteopathic Techniques Certification Program. Each Osteopath Course builds on the previous course and it is important to take each course in order. Students interested in becoming certified in the Integrated Equine Therapies Advanced Equine Osteopathic Techniques will need to complete all 4 courses and enroll in the Certification Program. These courses are suitable for horse owners, trainers, equine therapist, veterinarians, and all equine professionals. Techniques taught in this clinic will increase your skill set and enhance your effectiveness. 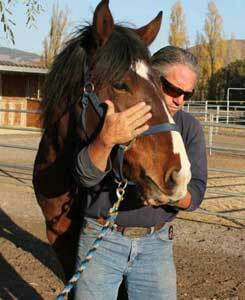 Prerequisite: Complete Equine CranioSacral (IET EQCST1) & (IET EQCST2) Courses.